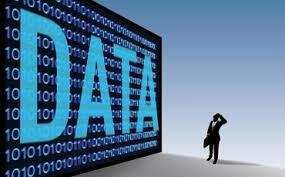 The first question to consider about your data is: Do you have what you need? In other words, what data is required to deliver the analytics, algorithms, and/or models that your Customers will find valuable? Let’s look back at the examples for Acme Corporation (a manufacturer of “smart” aka IP-enabled, parking meters) we laid out earlier in the series. In each case, the customer segments will benefit from the treasure trove of operational data Acme wants to monetize, but those analytics will be even more valuable when they are enhanced with new offsets of data from a public source or partners. Meet the data requirements of the analytics product(s). Support and protect the data processes and metadata. Deliver the right data quality, frequency and timing. Provide the level of privacy and data security demanded by the Customer, partners, other sources of data, as well as regulatory requirements. The first step to evaluating a Data Ecosystem, or building a new one, is to think through a “Day in the Life” of your data sources. For Acme, that means thinking about how consumers using the parking meters interact with them as well as how the transactional data is created and then passed through the collection process. You need to ensure that the data processes are scalable and capable of sustaining a product that will regularly be sold to the target customer segment(s). Vulnerabilities in those processes can impact your ability to consistently create or obtain the needed data. If new data will be coming from partners, consider the “ownership” issues (legal, political, organizational) of using that data in the new product(s) and their impact on the data creation and communication processes. Remember, you are creating an analytics product; this is not a one-off, ad hoc project. The dynamic process of creating new data and analytics for your data product is as important as a reliable supply chain is to a manufacturer of physical goods. The supply chain for your data can’t just suddenly fail, or you won’t have a data product to sell. In addition, Acme needs to think about the metadata needed for the analytics their customers are looking for: How is the metadata created and maintained? Metadata can also drive aggregations and groupings. What ongoing processes are needed to ensure that metadata creation is maintained? A small aside on “dirty data:” all data is dirty and you need to understand the quality of the data coming in (how dirty is it) as well as realize that you must constantly evaluate it as it is an iterative process and you must be ready to recover from any process breakdowns that impact the quality of the data. It is not impossible to build analytics product(s) from imperfect data but companies like Acme just need to understand the data processes intimately and evaluate them regularly to ensure that their definition of data quality is met. Do any of the data sets you are using include de-identified personal information? Any time you deal with a de-identified data set, you risk re-identification and you should assess the risks and figure out what you can do to mitigate them. Could the aggregation of the data sets you are working with result in the identification of individuals? Any time you aggregate data sets be aware that you might also be providing enough information, on aggregate, to identify individuals. Again, assess the risks and figure out what to do to mitigate them. Determine the project’s scope. How much personal information is handled? Is the information sensitive? Will the information be handled internally or outsourced? Is the information new or is it existing information? Will it be aggregated in databases? How will it be used? How will it be stored? What information is collected, used, and disclosed? How will it be held and protected? Who has access to it? What is the process for ensuring its quality? Identify and assess privacy-related risks. What is the impact on the individual as a result of how PII is handled? How do the risks affect the project’s goals? Does the project have an effect on the individual’s choices about who has access to their personal information? Is there compliance with privacy law? Is there compliance with the organizations privacy policies and privacy notice? Provide a remediation plan. How can you reduce or eliminate the risks outlined in step 3? What changes need to be made in terms of policies, procedures, or features to reduce or eliminate the risks? Now, let’s revisit what data Acme is collecting. As we stated in the first part of our series: Acme collects a high volume of data produced by each parking transaction that every parking meter produces. A majority of the parking meters also happen to be credit card-enabled which means that PII is certainly available through those transactions. Now that you’ve built your data ecosystem, it’s time to start looking at the technology Acme will need to successfully build their new analytics products. Stay tuned for the next post where we will look at options and tradeoffs when picking your analytics platform. Entry filed under: Big Data Project, General Analytics. Tags: analytics, data privacy, data security, streaming analytics.